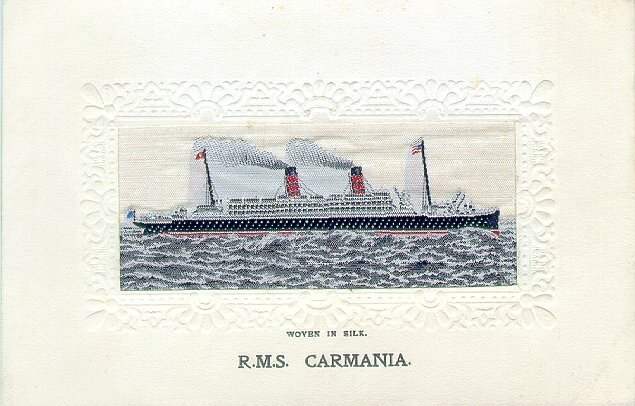 Like many of Cunard's liners, Carmania was built by John Brown & Co., of Glasgow. 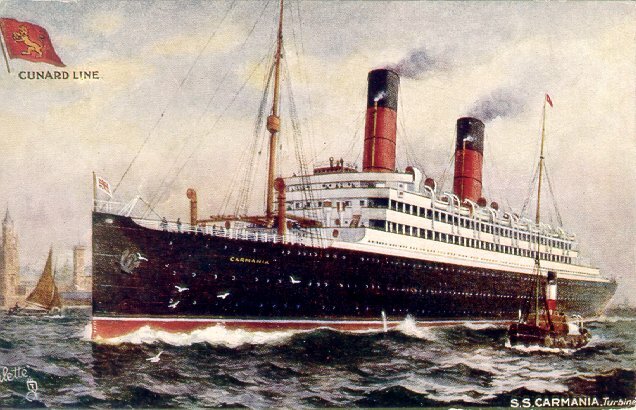 She was launched on 21 February, 1905 and made her maiden voyage from Liverpool to New York on 2 December of the same year. 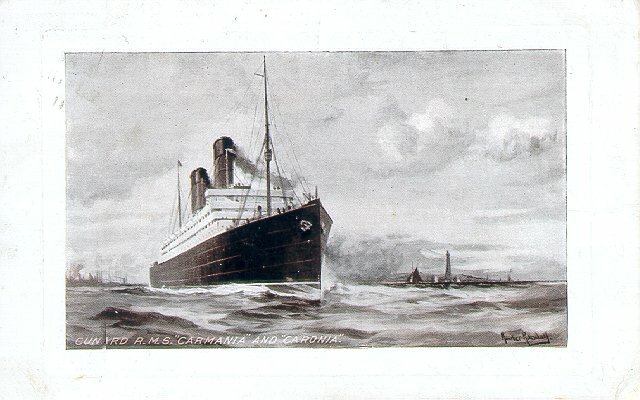 In October 1913, Carmania distinguished herself by being one of nine ships to rescue a total of 521 (out of 654) people onboard the burning Canadian Northern ship Volturno. 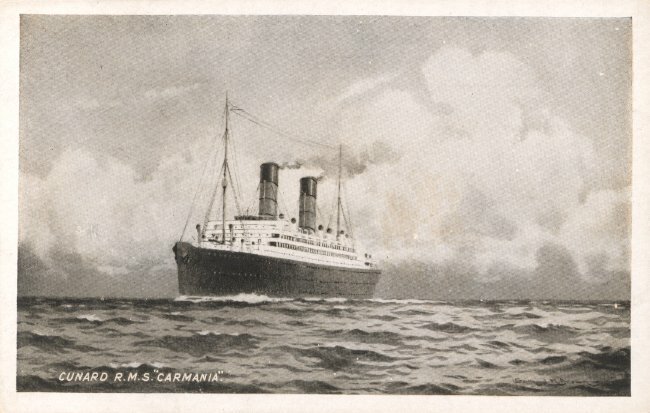 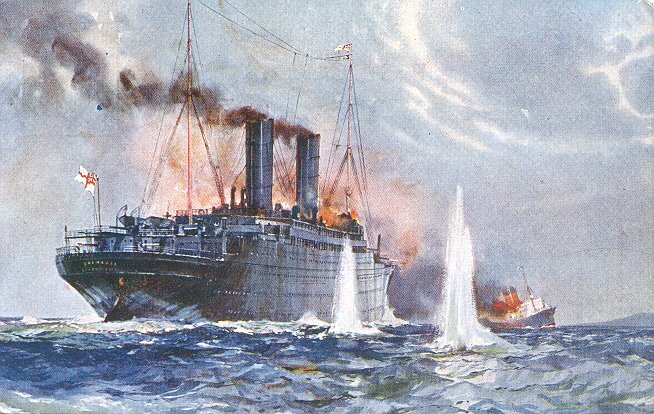 In August 1914, Carmania was requisitioned as an armed merchant cruiser; in that capacity, she sank Hamburg Sud Amerika's Cap Trafalgar (disguised as Carmania herself) off Trinidad in September 1914. 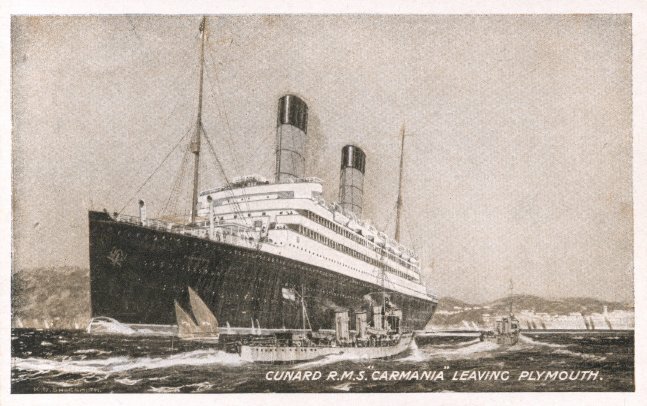 Carmania was returned to Cunard's Liverpool-New York service on November 1916 and remained on that route until 1923, except for a few months' service out of Southampton in 1921-22. 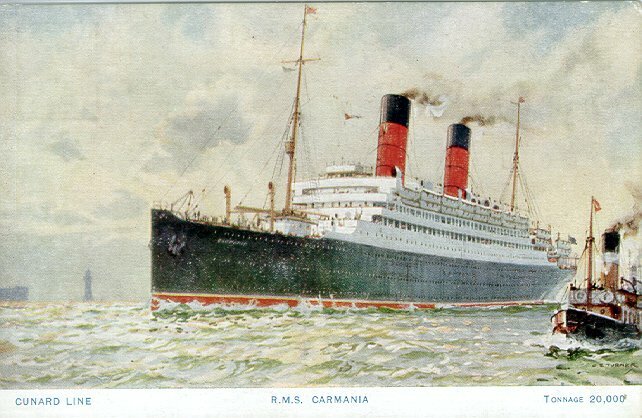 After a 1923 refitting that included conversion to oil, Carmania remained in Cunard's service until 1931, used at various times on the Liverpool-Canada, Liverpool-New York and London-New York routes, as well as for winter cruising between New York and Havana. 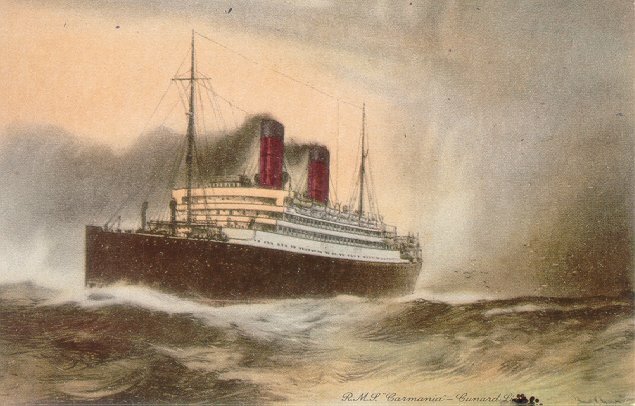 Her final sailing was from London to New York in July 1931. 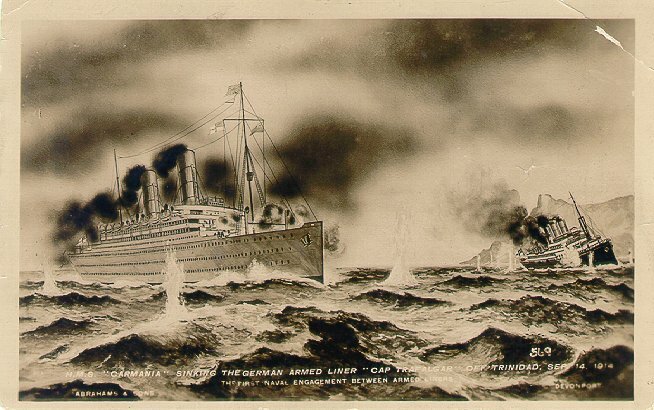 She was then laid up off Sheerness and went to the shipbreakers in 1932.